Stephanie Hicks of Pocahontas has been awarded the Mary Sallee Single Parent Scholarship for Spring 2019. The Mary Sallee Single Parent Scholarship is for single parents, made possible by sub-grants and matching donations from ADHE, United Way and Entergy, along with the help of various fundraising events and contributions by BRTC faculty and staff. Since 1992, 490 Randolph County residents have received scholarships totaling $222,998. Stephanie is the mother of Keagan Hicks and is seeking a degree in math & statistics. 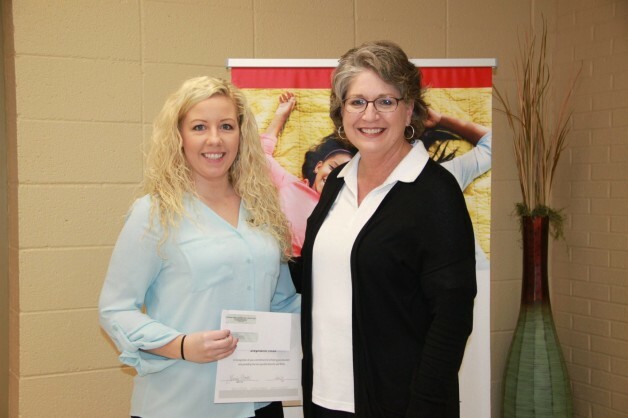 She is pictured with Arkansas Sallee Single Parent Scholarship’s NEA Program Manager, Wendy Stotts.